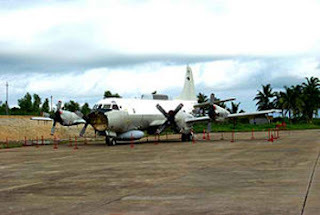 Twelve years ago on April 1, a US Navy EP-3 Orion spy plane collided with a Chinese interceptor flown by a flamboyant People's Liberation Army Navy pilot, who then crashed into the ocean. The Orion, damaged in the collision, was forced down on Hainan Island, sparking weeks of controversy and tension between the US and China. It was the third major military incident between the two within five years, the others being the 1995-96 crisis in the Taiwan Strait and the 1999 Belgrade embassy bombing. Considering escalating tensions and suspected hostile intentions as the US and China vie for primacy across Asia, it might be only a question of time before there is another, with far greater consequences. Because of the diplomatic row the 2001 collision kicked off, it would be instructive to look at what happened, and its implications. American officials believe the immediate cause of the crash was accidental contact brought about by the F-8 fighter – but was precipitated by increased aggressiveness in the PLA's interceptions of American aircraft in international airspace. At a news conference after the crash, the then Secretary of Defense, Donald Rumsfeld, revealed that US reconnaissance flights had been intercepted 44 times by the off the coast of China, with Chinese fighter jets coming within 10 meters of the American craft six times, and with two confrontations within just three meters in the weeks earlier. He also reported that the United States had formally protested the aggressive and dangerous behavior. He then showed a video taken aboard one of the planes in January showing an F-8 flying very close. Certainly, those dangerously close approaches were known to the leaders in Beijing, at least through formal protests of the American authorities. The Chinese pilot who died in the collision, Wang Wei, was already known to US officials for being careless. There are pictures of previous close intercepts by his same F-8 fighter, and the Pentagon reported that aggressive interceptions of US aircraft occurred to the south of China. No matter whether it was those pilots' own style or sanctioned by supervisors, it was provocative and confrontational. Officers of the Lingshui naval air base on Hainan island and the Yulin base believed that the frequency of reconnaissance flights had increased and that the standoff distance from PLA Navy ships had decreased. They were said to be frustrated, even angry, and felt their protests had been ignored by the Americans. After the F-8 had fallen into the sea, the flight leader reportedly requested permission to shoot down the American aircraft. Officials at Lingshui relayed the request to PLA Navy headquarters in Beijing. The request, assuming the validity of this assertion, was denied. More than a decade ago, America was not being perceived in China as it is today -- as declining -- and China was not a major economy. It was a time when many Chinese authors were predicting that multipolarization would be the future global trend, with the Eurozone emerging as a new pole along with Japan. As a result, Europe and Japan would move toward becoming equal partners with the US, seeking to share world leadership. By the mid-1990s, Chinese authors began to notice that the US economy was doing remarkably well. Quite a few of them marveled at its brilliant performance and were commonly optimistic about its future. By the end of the decade, they generally agreed that the US had been doing much better than its major competitors and that America had increased its lead. This positive attitude continued into the first half of the next decade. Opinions varied from seeing America as an economy that did not decline in recent years, to foretelling its continued expansion for the coming few decades. Although there were also more cautious and pessimistic opinions among Chinese scholars, in general China perceived the likelihood of a relatively long-lasting American hegemony. Improving bilateral relations seemed then to be China's preferred policy for the foreseeable future. International events of the 1990s made some Chinese commentators realize that world politics was not really moving into multipolarization. They rather feared a unipolar world dominated by the US together with other developed countries. In the 1990s and the beginning of the 2000s the majority of American and European analysts believed that Western democracies would find a way to get along with the Chinese autocrats. Yet in the real world the CCP was using nationalism in domestic politics and anger in its US policy. Thus the EP-3 collision was a wakeup call for American decision makers that things were not as good as many believed them to be. Indeed, today the United States faces a resurgent China whose economic might continues to grow at a torrid pace, with its military prowess growing as well. The multipolar world of the 1990s has come to include a new pole in the East that the US is attempting to counter with its pivot to Asia. The outcome of the EP-3 incident is not encouraging. On April 4, 2001 after the crash, the Chinese side demanded that Washington "bear full responsibility, apologize to China, and not seek any excuse to shirk its responsibility". The last time this happened was three years earlier after the bombing of the Chinese embassy in Belgrade. 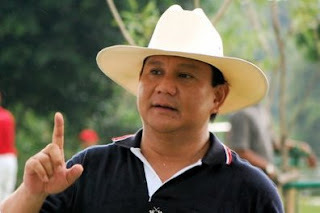 President Clinton defused the situation thenby making a public apology. The Bush administration backed away from any apology, however, making film public showing the Chinese pilot's aggressiveness. But ultimately, Secretary of State Colin Powell and others did make oblique statements including the word "sorry." President Bush ultimately sent a letter to the Chinese pilot's widow expressing regret over her husband's death. Both sides were negotiating over the same objective – relative power and their standing in the region. Another objective was face – both parties saw vital national interests at stake. Since the PRC government did receive carefully worded statements of regret, it seems that in the China prevailed in the negotiation. This is especially interesting as the CCP has accused the US of "hurting the feelings of the Chinese people" more than 20 times since the 1980s. This position is second only to Japan being accused of the same almost 50 times. According to the research conducted by the blogger FangKC, a student of the Peking University, in the Mao Zedong era (1950s to end of the 1970s) Chinese feelings were hurt only three times. However, during the reform era (from the 80s on), "hurt feelings" increased 11 times in 1989 and 1998 and 12 times in 2000. Finally on April 12, Beijing let the crew go back home and three months later the dismantled plane left aboard an An-124. Interestingly, 25 years earlier, in September 1976, a Soviet MIG-25 military plane was flown to Japan. On that occasion, the US believed that there was a right to examine the aircraft. Despite Soviet protests, American and Japanese intelligence officials disassembled the plane to study it for over two months before they returned it to the Soviet Union in packing crates because that type of military plane was then a mystery to the West. What is not mentioned, either in the media or in various reports, is that laying hands on the EP-3's highly advanced US technology might have been a quantum leap for Chinese intelligence. So despite the public outcry, in terms of the technological competition, this might have been quite a coup for the PLA. In both China and the U.S., the plane collision strengthened the positions of hardliners and virulent nationalists and generally created negative feelings. For the next few months military relations were evaluated on a case-by-case basis. The American presumption was to "minimize contact" with Chinese counterparts. According to Pentagon officials, this new policy directive was not solely a result of the April 1 mid-air collision, but rather stemmed from a judgment that the military relationship has been imbalanced in the past, with the Chinese side obtaining greater access to US military facilities and information than the US was able to achieve. The detention of the crew for 11 days on Hainan did affect the political climate in Washington. Top officials and the President decided to offer Taiwan the largest package in a decade, since President George HW Bush sold the island F-16 fighters. Washington also accepted then-President Chen Shui-bian's transit visit to New York and Houston on a five-day trip to Latin America. In both cities he met with officials. Unlike his predecessor, President Bush met the Dalai Lama, who not only "dropped by". After the 12-day standoff came to an end, the US Army resumed military surveillance flights along the Chinese coast. The Sino-American relationship got back on track at the end of the year after the September 11 attacks on the World Trade Center in New York and the Pentagon in Washington. The Bush administration needed PRC cooperation on its War on Terror. The PRC's opposition to American spying remains thorny. The Chinese Navy keeps pushing back on this issue as it did a year and a half ago when two Chinese warplanes intercepted an American spy plane over the Taiwan Strait. In recent years tensions have increased between China and the US as well as military tensions between China with its neighbors both in the South and the East China Sea. It is therefore likely, that another incident like the one discussed here, or one including maritime forces, might occur. What's worse, according a top intelligence officer from the US Navy, Captain James Fanell, the PLA Navy is accompanying its so-called civilian vessels "always looming in the background, just behind the horizon, ready for combat" and the "China Marine Surveillance is a full-time, maritime, sovereignty harassment organization." Such a collision would be even more problematic in the age of Sina Weibo, the popular communications tool which did not exist a decade ago, and which fanned xenophobia enormously last year during China's confrontation with Japan over the Senkaku/Daioyu Islets. 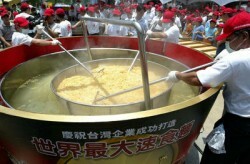 With easier spreading of information among the Chinese population, there would be much less maneuverability. Another difference compared with a decade earlier is the state-cultivated nationalism and a domestic perception of China being not properly understood and of having its rightful place in the world rejected. There is also a sense that the US, through its "pivot to Asia" and its proposed Trans-Pacific Partnership is attempting to contain China both militarily and economically. Should an incident like EC-3 occur over one of many neighboring territories that the PRC has been claiming as its own, it might feel compelled to set an example. Nevertheless, India’s vocal urban middle class has decried the perpetuation of political dynasties in their country. Their principal target is the Nehru-Gandhi family, whose fifth-generation scion, Rahul Gandhi, was recently appointed vice president of the Indian National Congress. The party wants Rahul to lead it into the parliamentary election next year, despite his previous poor performance in attracting votes. Should the Congress win a third successive mandate, it wants Rahul to take over from Prime Minister Manmohan Singh, now 80 years old. While Rahul is preparing for next year’s parliamentary polls in India, Bilawal Bhutto Zardari’s test will come this summer in Pakistan. The chief of the Pakistan People’s Party will lead the election campaign, but will not contest a seat in parliament because of his age — he is not yet 25. The successions of Rahul and Bilawal were expected. Choices are limited in traditional societies, where children taking up a senior family member’s profession is often seen as the done thing. In the case of political families, this move is usually governed by the exit, at times violent, of the senior. Their tasks are daunting. Besides continuing the family mission of ‘serving the people’, they also seek to preserve the family treasure of political power. Bilawal Bhutto Zardari’s political launch came on the fifth anniversary of the assassination of his charismatic mother, Benazir Bhutto. She herself had no choice but to assume the political spotlight after the hanging of her father, Zulfiqar Ali Bhutto. Rahul Gandhi’s grandmother, Indira Gandhi, eventually followed in the footsteps of her father, Jawaharlal Nehru, to become prime minister of India after the sudden demise of Lal Bahadur Shastri. Her son, Rajiv Gandhi, became prime minister within hours of Indira’s assassination in 1984. The other branch of the Nehru-Gandhi family has done much the same. Maneka Gandhi joined politics after her husband, Sanjay Gandhi, died in an air crash in 1980. Their son, Varun Gandhi, is now an opposition law maker in the Bharatiya Janata Party. In Bangladesh, Prime Minister Sheikh Hasina is the daughter of Sheikh Mujibur Rahman — the country’s founding leader. She had no choice but to take exile and seek justice after her father and three younger brothers were assassinated in a coup d’état in 1975. When another Bangladeshi president, Ziaur Rahman, was killed in 1981, his widow, Khaleda Zia, also had little choice but to step into the political arena. She served as prime minister of Bangladesh from 1991 to 1996 and from 2001 to 2006. Zia has now groomed her sons, Tarique and Arafat, to uphold the family’s political legacy. Did Sri Lanka’s Sirimavo Bandaranaike have a choice after her husband, former prime minister Solomon Bandaranaike, was shot dead? Or Corazon Aquino of the Philippines, after Benigno Aquino Jr was gunned down on his return from exile? Democracy’s return to Indonesia also aided the return of another Sukarno, Megawati Sukarnoputri, who served as president of Indonesia between 2001 and 2004. Thai prime minister Yingluck Shinawatra has stepped in to help her embattled, exiled brother, Thaksin. And there is also the example of Myanmar’s Aung San Suu Kyi, whose father, Aung San, helped to negotiate Myanmar’s independence. There is an upside to this trend. These successions contribute to generational change in traditional societies, where the ruling class knows no retirement. Back to Pakistan and to Bilawal Bhutto Zardari; his family is one of the many that dominate feudal/tribal societies across Asia. His father, Asif Ali Zardari, has been criticised for conducting political activity from the presidential palace, holding an office that is supposed to be above partisan politics. But Zardari wisely added Bhutto to Bilawal’s name and ensured the latter’s appointment as tumandar (chief) of the Zardari tribe of Balochistan. So, Bilawal is doubly blessed, but also doubly damned, with a Baloch father and a Sindhi mother in a nation where Punjab matters the most. Nevertheless, Bilawal is expected to catch votes, using his Bhutto charisma to the hilt. Looks matter in politics, and Bilawal has the good Bhutto looks. He will have, among others, the globally famous Imran Khan to contend with in the upcoming general election. Imran is years ahead of Bilawal in a country where experience and age matter. Language, too, is important. Having spent his childhood in Dubai, and having studied at the University of Oxford, Bilawal is comfortable in both Arabic and English, but he will need to work on his Urdu, as did his mother. Bilawal will also have to contend with other Bhuttos, including his aunt Ghinwa and cousin Fatima. Their careers are built on their hatred for Benazir, whom they accuse of helping to orchestrate the deaths of her two younger brothers, Murtaza and Shahnawaz. Bilawal must also be concerned about threats to his own life. How the Pakistani Taliban and the military establishment view him remains to be seen. Engaging in politics in a democracy, whether or not one holds power, is like wearing a crown of thorns. Dynasty only makes it worse. Mahendra Ved is a New Delhi-based writer and columnist. A version of this article first appeared in the New Strait Times. Benjamin Franklin's political cartoon, "Join, or Die," which depicts a severed snake with each piece representing a British-American province or region (with the exception of Delaware and Georgia), was first published on May 9, 1754, in the Pennsylvania Gazette to unite the provincial governments against the French and their Native American allies. Later, during the American Revolutionary War, the same cartoon was used to urge the 113 colonies to unite against the British. The cartoon was very much a cry for action. Although Franklin's cartoon aimed to impress upon the colonists the importance of colonial unity at the time, "Join, or Die" would come to represent not just resistance and rebellion but also change. When it had become intolerable for American colonists to continue living under British rule, it was time for change. Whether it is the story of Moses leading his people out of Egypt, or the very recent Arab Spring, the story of humanity – or, to go to the very beginning, the story of life itself – is one of change. If not for Moses, would the Children of Israel have their freedom? If not for the self-immolation of Mohamed Bouazizi in Tunisia, would there have been an Arab Spring as we know it? Certainly without the American colonies in union, their revolution would have been in vain. For Vietnam, these stories and events in human history offer an important lesson: Change is inevitable, and failure to change when necessary can prove especially violent, as demonstrated by Mohamed Bouazizi's sacrifice or the American Revolutionary War (or any revolution for that matter). For Vietnam and countries similar to it, the message is clear: Change or die. Death, not in the literal sense of course, should not be taken as a threat but an opportunity to free oneself from the shackles of old. Change is not an unfamiliar concept to Vietnam's leaders or its people. Doi Moi, the economic reforms initiated in 1986, helped liberalize the country's economy. The reforms helped transform an isolated, impoverished, and starved country into Southeast Asia's darling economy until the global recession in 2008. However, these reforms merely addressed the economic failures of Vietnam. Although living standards increased substantially, the political system remained more or less the same; as a result, Vietnam's structural failures remain unaddressed. A lack of accountability and transparency in Vietnam's leadership has fostered corruption and excess, which has undoubtedly contributed to the government's economic mismanagement of Vietnam, leading to its current woes. With Vietnam's economic downturn, the people's displeasure and distrust of the government, and the government's apparent inability to deal with China over the South China Sea disputes, the conditions appear ripe for change. Efforts by Vietnam's leaders to appease the people (constitutional amendments that have thus far simply addressed economic failures) have so far fallen short of expectations. Rather that expand upon fundamental human rights, the proposed amendments instead appeared to have expanded restrictions on said rights. Rather than change for the good, it would appear as if Vietnam's leaders are intent on going in the opposite direction. Change is not a spontaneous act. It is a result of numerous conditions, and in Vietnam, these conditions are coming into play. Rather than adapt to the shifting landscape, Vietnam's leaders have opted instead to preserve the status quo -- the very same that has led to the country's current predicament. True change begins at the bottom. It begins with the people who in turn demand change from their political leaders. Unfortunately, such possibilities in Vietnam are limited given its non-democratic system. The voices of the people are not heard, and as such, the country's leaders are free to do as they wish, regardless of protests at home and abroad. As a result, it is up to the people to not only demand change but effect change. How this would come about is a question only the Vietnamese people themselves can answer. The first question to be asked, and perhaps the most important, is how much they are willing to risk to bring about change in their country. 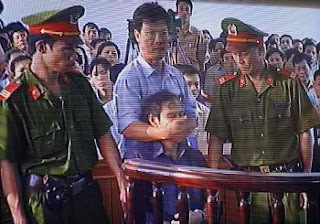 That the Vietnamese government has permitted a degree of dissent is not an oversight on its part. Rather, one could argue this allowance of dissent is an effort to relieve whatever anger or stress the people hold against their leaders. What harm is there for an individual to repeat what is already known, that the government is corrupt and inefficient? What harm is there for Communist leaders and their friends to have people call them names behind their back. It is only when the individual decides to act against the government, such as fermenting opposition, will he or she then suffer the consequences of "propagandizing" against the state. This illusion of freedom, then, has allowed the people to express their dissent without actually dissenting. Fines and jail are serious consequences for speaking out against the state, and so the people, many of whom are looking for leaders, stay home because their leaders are in jail or under house arrest. Waiting for someone to help lead the cause for change is no better than changing for the wrong reasons. It is one and the same, for both are excuses for maintaining the status quo. Change is not an individual responsibility, although it requires individual sacrifice. Change on a national scale requires a collective effort -- an effort by the nation at large. It requires sacrifice from the common citizen and the powerful elite. Nation-building is an exercise in consensus-building, and without the input of every member and every level of society, why bother at all, for the end result would be a society in which the few oversee the many. Greater than the fear of government reprisals is the fear of the unknown: Will a new Vietnam necessarily be better? Whether fighting for a new Vietnam is worth the risk -- security, personal, or otherwise -- is a question the individual must answer. But whether Vietnam can change is a question for the nation. Taken together, these are questions that must be answered quickly. Although change is not spontaneous, those who are unprepared for it often suffer the most. East Asian economies have been debating the appropriate size and makeup of regional arrangements. ASEAN chose the larger RCEP, which is open to all its plus-one partners, due to recent progress on the TPP in the light of renewed US interest, and a search for new sources of growth and an increased focus on ASEAN centrality following the global financial crisis. The CJK would have linked three of the big East Asian economies and could have been a threat to the centrality of ASEAN in regional trade, but the grouping is not big enough to manage the relationships among its partners. Japan has been searching for a way to manage the rise of China, largely through its relationship with the United States, and has chosen instead to sign up with the TPP. The tension between Japan and China over the Senkaku Islands would make the CJK difficult to achieve in any case. South Korea already has an FTA with the United States, meaning the TPP has less to offer it. The South Koreans may prefer an FTA with China, but have decided to work within RCEP. The prospect, then, is for an RCEP bloc on one side and a TPP bloc on the other — although there will be some joint members, including a number of ASEAN countries, Australia and most likely Japan. TPP negotiations will progress slowly — new members will be added and talks will be dominated by the US trade representative, whose interests may derail negotiations. The TPP is open to new members, but many, such as China and Indonesia, will find it difficult to meet the agreement’s expectations. It is also less relevant to East Asian supply chains. RCEP is likely to reach a conclusion sooner than the TPP. The agreement is less demanding, and its contribution will depend on whether it adopts a top-down or bottom-up approach. A top-down approach would require new negotiations and would lead to a greater ‘lasagne risk’, with many layers of overlapping multi-country agreements. A bottom-up approach would build on the existing plus-one agreements between each of the members. This approach would not be easy either because of the diversity of agreements, but it may offer a more substantial outcome and could strengthen existing supply chains. RCEP members, if they can agree early enough, can make significant progress because of their size and the complementary nature of their economies. They could headhunt new members in the TPP and in Central Asia. Members could also establish a link with the European Union, which would be a great advantage. The United States would likely then take a concerted new approach to ASEAN. But several challenges remain. For example, Hong Kong could be rolled into RCEP but how could Taiwan be accommodated? The two economic agreements — RCEP aligned with China and the TPP aligned with the United States — may add to the tensions surrounding the global leadership ambitions of both these countries. But China and the United States also have a lot of common interests, to the point where the China–US relationship could arguably now become too big to fail. On the other hand, RCEP could still be put at risk because of tensions between its members. Tension between China and Japan is based on domestic politics, which adds to the chance of accidental escalation. And the South China Sea dispute involving China and several ASEAN countries has still not been resolved. As Peter Drysdale puts it: ‘political instinct might dominate rational calculation’. Yet RCEP also provides an opportunity to practice rational calculation. Members can put immediate issues into a longer-term context and identify common interests. RCEP can establish good economic policy and integration as long it has some higher-level principles. Without them, there is still the risk of the ‘lasagne outcome’. This could be the case whether the members take a top-down or a bottom-up approach. Jayant Menon argues, for instance, for the promotion of multilateralisation as a guiding principle. Members would pass on established preferences to non-members, providing a way to manage the ‘lasagne risk’. The principle of multilateralisation would also generate greater gains and provide a way to deal with non-members of the formal agreement, including Taiwan. Christopher Findlay is Executive Dean of the Faculty of the Professions at the University of Adelaide. Shandre Thangavelu is Associate Professor in the Department of Economics, National University of Singapore.